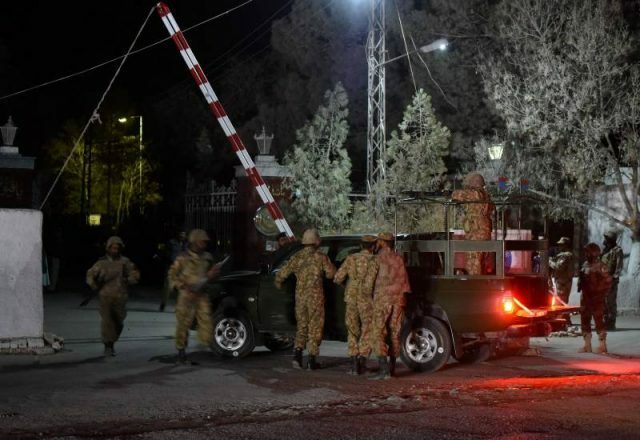 At least six security officials were martyred Friday when their convoy came under attack by unidentified gunmen in Balochistan’s Kech district, officials said. “Six FC [Frontier Corps] men embraced martyrdom while 14 others were wounded in the gun attack,” Balochistan Information Minister Zahoor Buledi told AFP. According to the ISPR, four terrorists were killed in an exchange of fire. Last month, three men from the separatist Baloch Liberation Army stormed the Chinese embassy in Karachi, killing four people including two policemen. They were shot and killed by police before they could force their way in in a car packed with explosives.